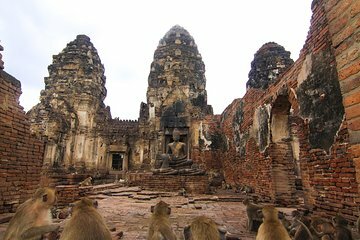 Instead of joining a crowded bus tour and rushing from one ruin to the next, give yourself the opportunity to really experience the quiet and tranquility of some of Thailand’s significant historical and religious sites on this full-day private tour. Visit these sites with only your guide and the people you’re traveling with, marveling at the ancient Khmer temples and Buddha statues on display. In particular, explore the numerous significant temples that are still standing in Ayutthaya Historical Park, a UNESCO World Heritage Site.